← So how does E-design work? 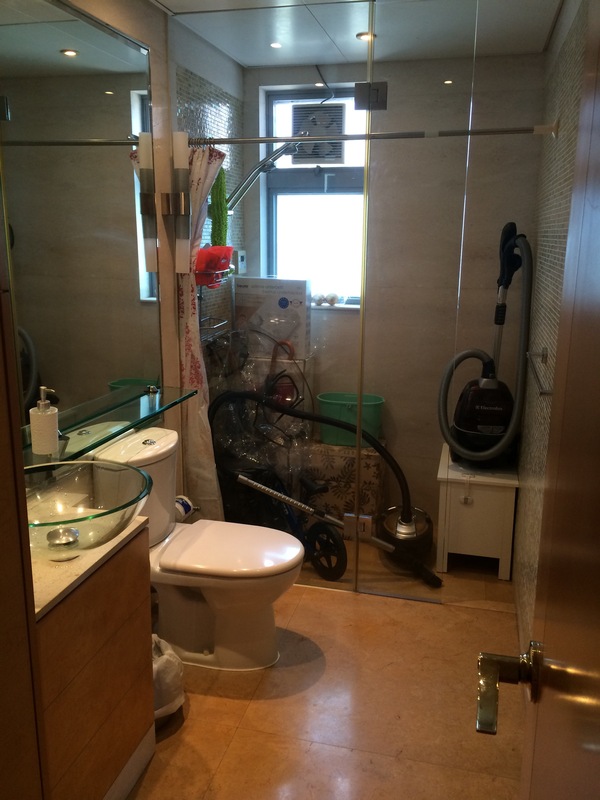 Continuing on with how our home is set up in HK, let’s go to our main bathroom. It’s a very decent size and whilst a room covered completely in stone and tile leaves little room to change things as a renter, it’s a neutral colour so there wasn’t much need to change it! The big thing about our main bathroom is that we can’t really use it. As a household with two and four year old kids, we use the bath for them still and the main bathroom has a really lovely, huge walk-in shower. 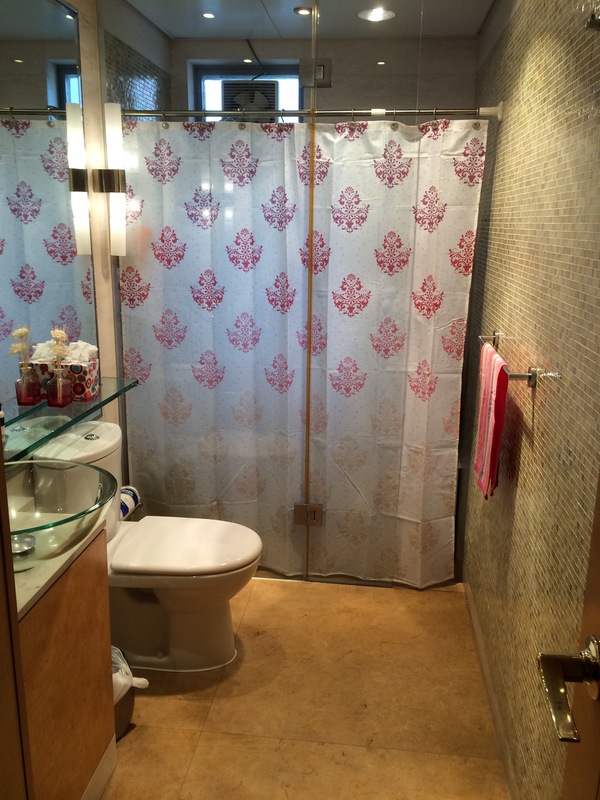 A completely useless, really lovely, huge walk-in shower. We have ended up using it as a powder room, just for guests to use the loo in there. Recently, I decided that in a house where every square inch matters, having this space go to waste was not good. It also struck me that the size of the shower almost exactly matched the size of the storage unit we rent for HKD1,000/month. Ka-Ching! How to save our cash AND keep our storage space?! Use the unused shower of course! The Xmas tree and ornaments are in there now, the vacuum cleaner, cleaning supplies, a balance bike, and soon the large suitcases will come from the storage container to live in there too. The one problem with storing everything in there is that it looked ugly. Very ugly. 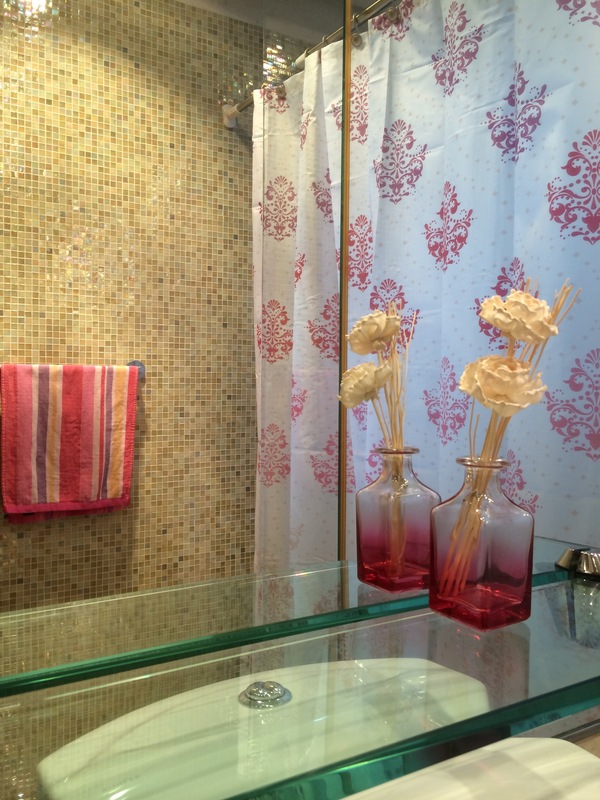 So I did a mini-update to the bathroom to pretty it up a bit. I wanted to cover the glass so you could no longer see in to the shower stall, but didn’t want to lose the light coming in from the bathroom window. Looks nice! Are you enjoying Hong Kong? We are! It is a very vibrant city. The pollution is a killer though…literally… And is the main reason we don’t want to be here long term. I can imagine. We were only there for holidays, or for layovers on the way to visiting family back in Europe.